Well its been almost a year since the last time it and its almost time again for Hour of Code. Yes, that's right you did not miss it and there is still plenty of time to get yourself, classroom and students ready to participate. What do you need to get started? A room with a bunch of eager to learn students... maybe even a bunch of eager to learn teachers as well. An internet enabled device and that is pretty much it. Everything else is "icing on the cake" so to speak. Do you need some help with getting started? Here are some resources from Common Sense Media that they have put together to get you started. Here are just a few of the resources that you and your students can use and participate this year. There are many more that are out there available on the web please add them in the comments section below. Its the start of school and now is best time to get your students motivated to learn about coding. Whether you have a computer, tablet, cell phone or nothing at all you can help your kids to really get interested in and wanting to learn more about coding. Here is my list of websites and apps that you and your students can use in or out of your classroom to learn about coding. Who knows one of your students could end up being the next great app inventor or program writer. Now this list by all means is not complete and you may have your own sites or apps that you use and I would encourage you to add them in the comments so that I can keep updated this list for future use. Code.org I guess I had to start somewhere and that is at Code.org which seems to be the one you hear about the most. 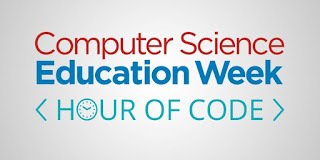 The site offers Hour of Code resources as well as links to other coding resources & sites. Codemoji A great way to learn to code using what is familiar for your students "EMOJI's"
Hackety Hack Learn how to code in the Ruby programming language. Has a downloadable installer for your computer. Site offers many resources to get you and your students started. Code Avengers Learn at your own pace what you want and go as far as you can with this site. Whether you want to create a website, a game or an app you can learn how in this site. Khan Academy Yes thats right, the site that brings you all those other great learning tools for math and science also helps you learn how to code too. Codeable Crafts Be Creative with this app that allows you to create your avatars and then use them as you learn to code. So its coding with a twist to bring your designs to life. So even though I have listed out a few websites and apps that you can to help your students learn to code there is always a chance that you do not have access to a computer or mobile device. Let me tell you this, that is perfectly OK. There is nothing out there that says you have to have technology to teach coding to your students. You can teach students to code using verbal and/or written prompts to help them to understand the concepts behind how coding works. Conditional statements can be used, If you do something Then another thing will occur. Movement patterns can be created using pieces of paper with one student talking another student through the pattern, and so on. All in all its the perfect time of the year to introduce coding to your students and hopefully some of these suggested resources can help you out. If you are still looking for a way that your students can learn to code in a fun way why not try something different. If you could teach your students to code in their language would it help? Now I know that you have heard me talk about the benefits of Codeacademy, Code.org and Scratch over the years but why not try something a little out of the ordinary that may be able to reach your student on a different level. What is it, you ask? Well it is a fun interactive way to learn to code using emoji characters. Yes, I said emoji characters. With this unique style of learning basic coding your students can master the concepts and the functions of coding without having to learn the actual language right off the start. The coding "language" can be as different and daunting to students as much as learning a foreign language, which in fact could be considered a foreign language in and of itself. Codemoji offers adaptable lessons for student learning at their own pace. You can just go to their website and click on the Go Learn button and move through their tutorials. If you create an account within the site you can keep track of your progress and pick up where you left off in a prior session. This allows your students to progress at their own pace and move back and forth within the lessons. If you have students that are ready for a challenge you can have them click on the Go Play button which allows them to create their own webpage content and test it out to see what it looks like. In this tutorial you are using a Playground testing area with the emoji's on the right side of the screen. As students progress through the tutorials they will be required to drag and drop the emoji's onto the coding area of the screen. When they feel they have completed the skill they can click Run Code and test out the code to see if it correct. If they have not completed the skill correctly the system will identify the problem and will give the student the opportunity to correct the code and test it again before they move on to the next skill. In the code window the student also has the opportunity to click a tab that will switch from the emoji code to the actual HTML coding. This will give them an opportunity to see the actual code as they learn each new skill. All in all the website seems to be yet another very quick and easy opportunity for students to get their feet wet with learning to code. The adaptability of the site to change the learning outcome for the students based on their progression through the tutorials is very good and will help student to better understand what they are learning. I would recommend that this is a definite add to your list of sites/apps that you can use with your students to help them learn coding. Stop Motion Animation on a Budget in your Classroom. We all love a good story, getting hooked as it keeps you on the edge of your seat as you wait impatiently in suspense for what comes next. Have you ever wondered to yourself if that story could be changed ever so slightly so that it could literally come to life. Now I know some of you just raised your hand, your eyebrow or smirked a little thinking hey Evan isn't that what movie studios are for? Well in some way that's correct but how many of us have 1000's of dollars to put a movie together. I know that I do not have that kind of money just like many other teachers as well. You could try things out using Stop Motion Animation as an activity to extend the learning in your classroom. How many stories have you read to or had your students read where you thought you could extend the learning by having them create a product, maybe an animated movie? How about those social studies facts that could translate into an individual or class project? Maybe some of those science experiments which yielded ground breaking discoveries. Why not try it out and see what could happen. Now I have looked through numerous websites and other resources to learn about how to create Stop Motion Animation videos and by far I am no expert on the subject based on what I have read. I am just someone that can share a little information that could possibly offer up some fun and creativity for your students in your classroom. The big question now is how do you start and how much is this going to cost? Let me address the cost issues right now. I am one of those big proponents for anything free or at such a low cost that it is ridiculous, because I am always looking for it due to working in education. So let's take a look a a few things that you may have around you right now. What you need: besides a location to create your stop motion movie which just needs to be a clear space. A camera - that is the easiest one. You probably have a few items that you can use that you did not even think about. Supplies: there are a myriad of things that you can use and of course some of them can be free since you may already have access to them right now in your own home or there are students that have brought them into the classroom. You can even, and I have done this, ask around to see who has some of these items that they no longer want. Now the most important thing you need to get started is the idea. You want to make sure that you keep it to something that can be done fairly quickly where your students will succeed at it. Once you have your idea set then have your students begin creating their story boards of the project. You can provide students with a rubric that outlines your expectations, you can use Rubistar to create one if you want otherwise MS Excel or Google Sheets are good choices. Have then write a script that can either be be done as a voice over or could be done as panels in the video. Let them choose their supplies to create the video and then let them have some fun. Let them be as creative as they want to be. Now if you need to or want to use an App there are more than a few out there that you can use, but just to remind you of the title of my blog post. We want to keep things on a budget, so here are a few FREE apps out there you could use. This is just a few and by all means please share apps that you use in the comments below. Have you ever wondered how they do all those neat effects in the movies or how they do the weather broadcasts on your favorite news show? Its called green-screening, and it is a whole lot of fun and really easy to do. Yes I said easy to do. 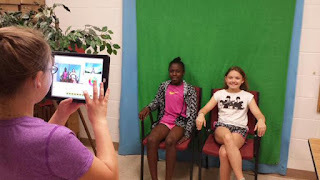 Recently a school in the district that I work for asked me about kicking their news show up a notch by doing something with green-screening and they did not know where to start. So, where do you really start? 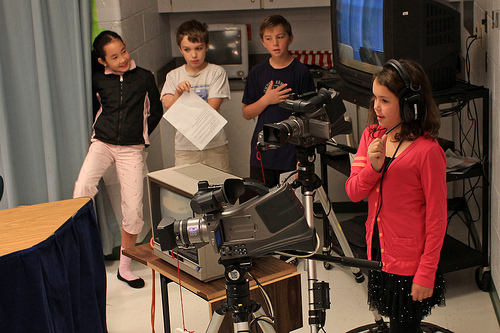 I have worked with many schools to help them add green screening into their news shows and there is a different process to go through for each school( that is another blog post coming soon ). So here is the good and the bad of what I have found for this school. I have researched many different methods of green-screening and have found one that I like more than others for the school that wants to just get started and needs something that is really quick and easy to get started with that has a small learning curve. I like Green Screen by Do Ink, which is an iPad app, it is very easy to use and setups in seconds. From launching the app to recording your first video takes less than a minute as long as you have your environment set. But why listen to me ramble on here about Do Ink when you can hear about it from them. Since Do Ink is an iPad app, you will have to make sure that all of your resources are loaded onto iPad ahead of time. Then it is just a quick three steps and you are off to the races with your green screen video. Once you have recorded your video you can save it to the camera roll and that's it, that's all. Well, there is something else you will need and that is the Green background. So what do you do? Do you have to buy an expensive green screen in order to do this. That answer is no. All you need is something that is green, or blue, either will work with this app. Now I have been working in schools for over 12 years and every time I am in one there is always a bulletin board with a paper background on it. Yep, I said it. You can use that same craft paper that you use for your bulletin boards. With all of the good things that Do Ink has going for it, the only thing I found that could be considered as bad is the $2.99 price tag for the app itself. Hey and if that is the only thing, I could really just leave it out of the blog post. All in all it is a great app that is very easy to use and for both teachers and students in the classroom. It offers up some wonderful opportunities to extend learning both in and outside of the classroom for students, at least the ones I have worked with, because they are excited to use the the app and to create something with it. Oh and the possibilities are limitless for what they can do with it. Give it a try and see for yourself how Green Screen by Do Ink can make learning fun in your classroom. Recently I was working with a group of fourth grade teachers on North Carolina Lighthouses and the comment came up from one of the teachers. "Doing a Google search is difficult for some of our students because they are not able to understand some of what they are reading. I wish there was an easier way for them to research material that is more aligned to how they read." I let them know that Google has a built in feature that would allow them to filter their search results by reading level. The looks I received from the group were more along the lines of how Mr. Spock raised and inquisitive eyebrow to Captain Kirk. Of course the next thing I knew we were hip deep going step by step through the process of figuring out what to do. I had not seen a group of teachers this engaged in a while and with a tool that I thought everyone knew about. Boy was I wrong. If you have not used the Google Reading Level filter here is a quick three step tutorial on how to get things setup and working. Enter your Search material into the Google Search box. Click on the Search tools button after Google displays your search results. 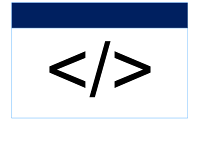 The search results will then be reorganized according to the reading level and displayed by Google in a table similar to the one below. Google identifies the reading levels as Basic, Intermediate and Advanced. 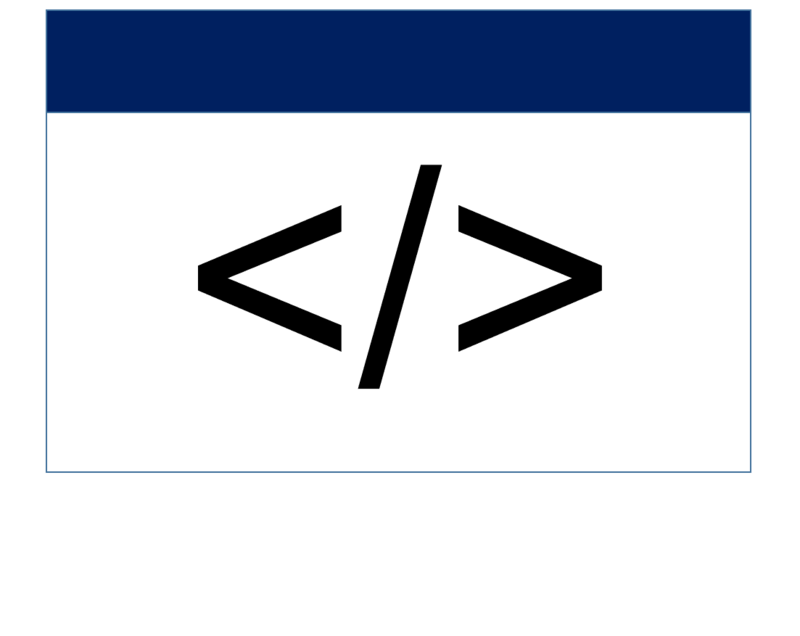 One additional option with the table above is that it is functional, so you could click on Intermediate and it will reorder your search results one step further. I have to say that I had a great time working with this group of teachers and they were very appreciative of the information that I had shared with and showed them how to use in a classroom setting with students. Most told me later that they used the Google Reading level filter on their next research topic with their students. It seems, to me, to be a tool that does not get enough credit for what it could do for students. So give it a try, and see for yourself, the next time you are working with students on a research topic to see if things make more sense. There’s a phrase that gets thrown around a lot in education and in life called the Teachable Moment. Now this can be characterized by some sort of learning that is happening between students and teachers or between parents and children. It can be planned out as part of an activity or it can be spontaneous. Which is better? It would depend on who you ask as to the response you receive. That in itself could be considered a teachable moment. Me I like, or prefer, the unplanned spontaneous kind. That being said, I witnessed a teachable moment today while I was at a school and for me it was an eye opening experience. While working with a school today on their first news broadcast you could say that everything that could go wrong went wrong. Hey it happens so we drop back and punt and prepare for the next day. In the mist of the chaos, the students took it upon themselves to figure out what the problems were, how to fix them and how to help each other to ensure a successful broadcast the next day. I became a bystander as I watched these students diagnose and work through the problems that had happened during the morning broadcast. As one student determined what the problem was they would gather the rest of the news crew around and showed them how to fix the issue. This was something that I had not seen in some of the other schools that I have worked with in the past. Usually students would just accept that there was a problem and then leave and go on with their day, maybe hoping that the problems would fix themselves. I expressed to their faculty mentor that this was something that I had not witnessed in other schools and it was incredible to see coming from middle school students. Yes it was a teachable moment for the students to fix the issues and work with each other but I think that it may have been more of a teachable moment for me in that it was something that I had not expected and impressed me greatly. Follow Evan's board Twitter on Pinterest.